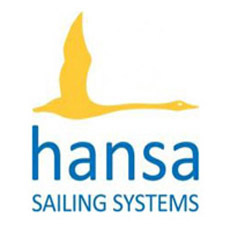 The 2016 HANSA class Italian Championship has been completed in the best way. At the end the 11 crews that came from Liguria, Friuli Venezia Giulia, Trentino, Veneto and Lombardia fought until the last second for winning. A huge applause should make to these special sailors since the first day that saw them having to fight not only with the efforts which are required for racing but also with very adverse weather conditions. It was just the weather that was the master the first day where, immediately after the conclusion of the first race, a raging burst of rain poured on the race course forcing everybody to a quick return. On Saturday and Sunday the weather came back in favour with bright sunshine and with it an exciting race where the technical level of the crews, very balanced, allowed the spectators to enjoy a great race with the beautiful and colourful boats offering such an wonderful show from the shores of the town of Desenzano del Garda. Spectacular was the whole organizational, no hitch, all perfect, all happy with this participation. We have to make a big applause to the entire Fraglia Vela Desenzano, to the non-profit Sailability association, Marinai d’Italia (former sailors of the Italian Navy) for their, well recognized, skill in how to organize and perfectly manage these important events. At the end Enrico Carrea and Sebastiano Canto of Lega Navale of Genova came out top on all races, from the first race they demonstrated their sailing skills, while to win the second and third places were crews of FVD-Sailability Team, the competitive team of the Fraglia Vela Desenzano, with crews were formed respectively: Luca Mantovani (vice European champion in 2012) with Beatrice Vit (vice champion of the Italian Championship in 2015), and Dario Stevanato with Michele Lazzarin. Dozens of articles were published about this event, thousands of video views and stunning photos in just three days . 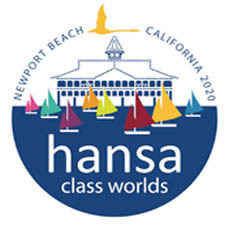 In short, what might look like a simple and beautiful regatta, it has instead demonstrated as being the best HANSA class Italian Championship that has ever been seen from its starting. See you then in 2017 in the waters of the Gulf of Trieste – Aug 30th – Sept 3rd, 2017.